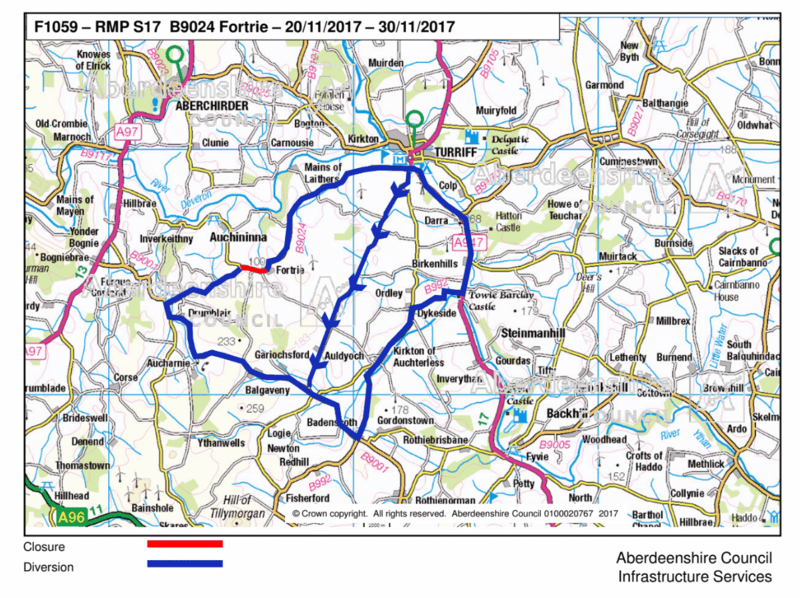 The roadworks on the B9024 at Fortrie have been extended, due to poor weather, the road will be closed between the Auchininna turn off and Fortrie until Wednesday 6 December 2017. The closure is to allow Aberdeenshire Council to carry out preparation work for surface dressing. Access to properties in the affected area will be maintained wherever possible.